This fascinatingly alluring, and gracefully poised Galerie Plan Double Basin from Twyford, will add a dash of refined majesty to your bathroom. 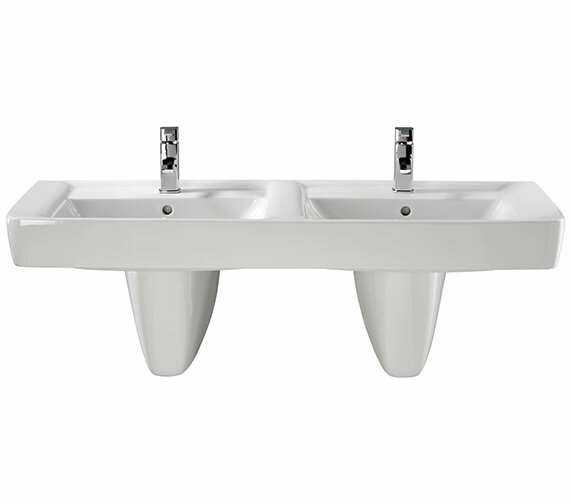 Made from durable high quality vitreous china, this double basin is finished in sparkling white, which lends a sublimely soothing look. 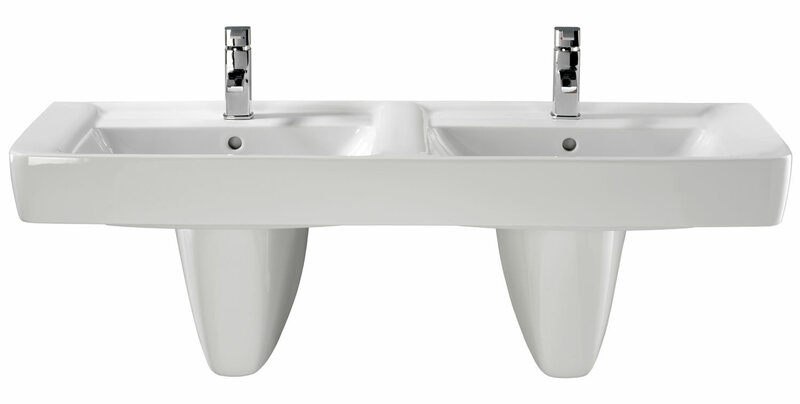 Supplied with 2 pre-drilled tap holes, this classy bathroom utility, comes with a 25 years manufacturer guarantee. 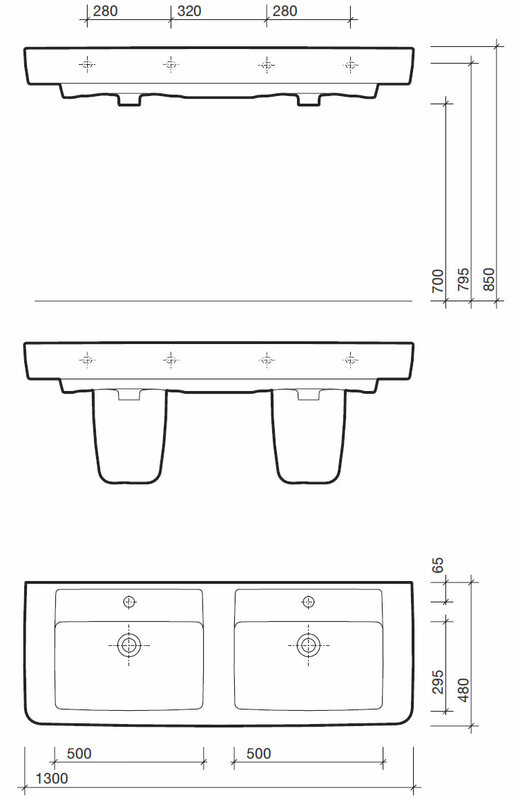 Suitable to installed with pedestal, furniture or as wall mounted. Quality is good and was easy to fit. Not the cheapest sink, but been in for 9 months and still looks new. Over all, very happy with sink and service provided.